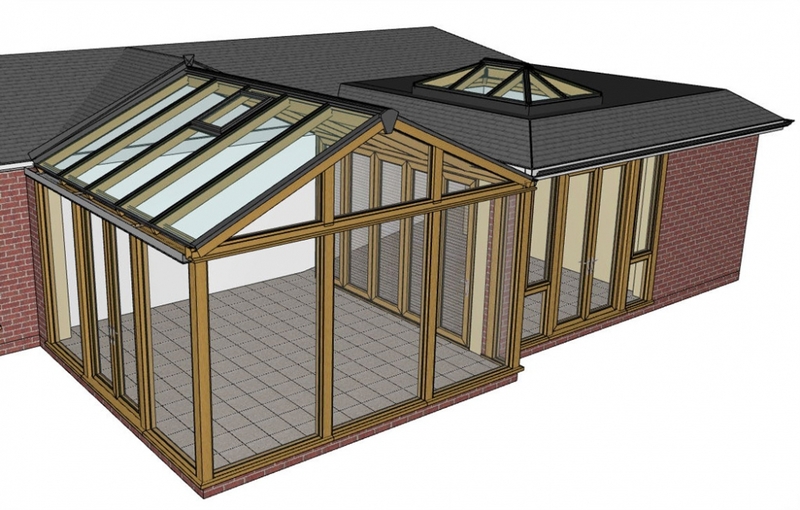 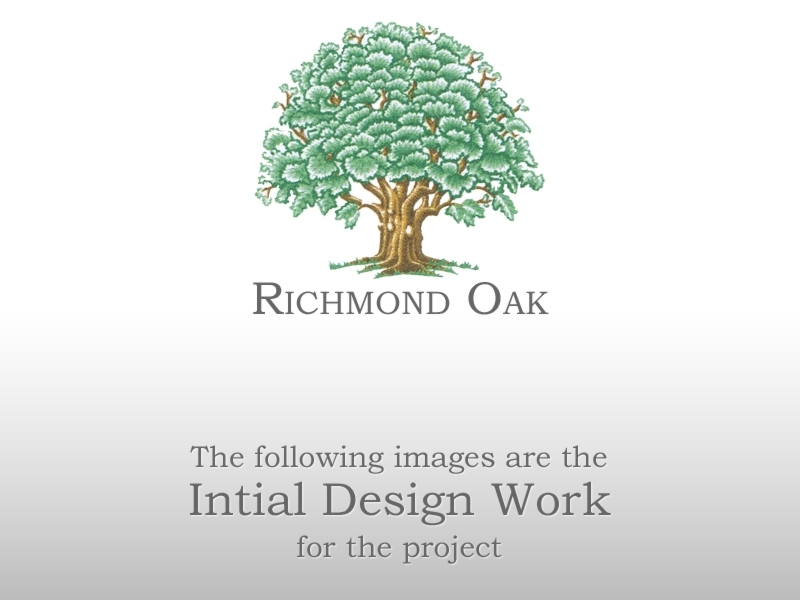 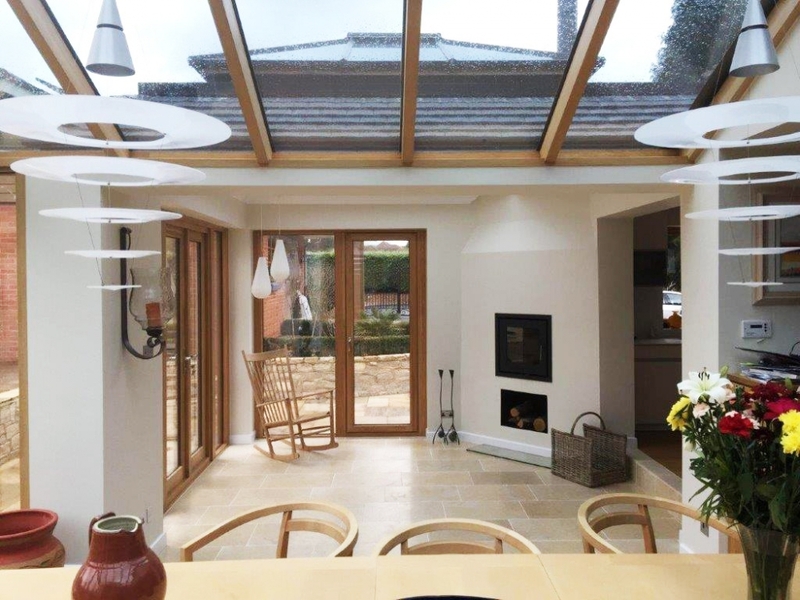 This was a very interesting and difficult design project modifying an oak gable conservatory we had installed 6 years previously, using our patented contemporary frame construction and adding two orangeries, one either side. 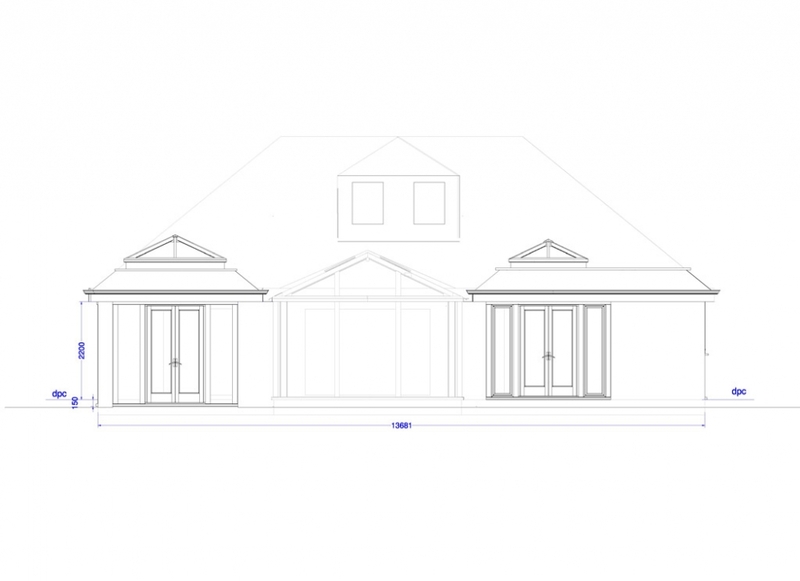 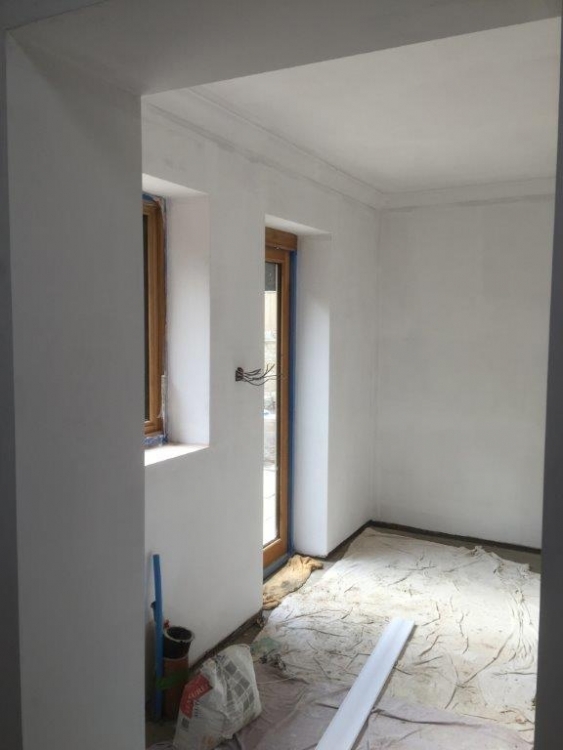 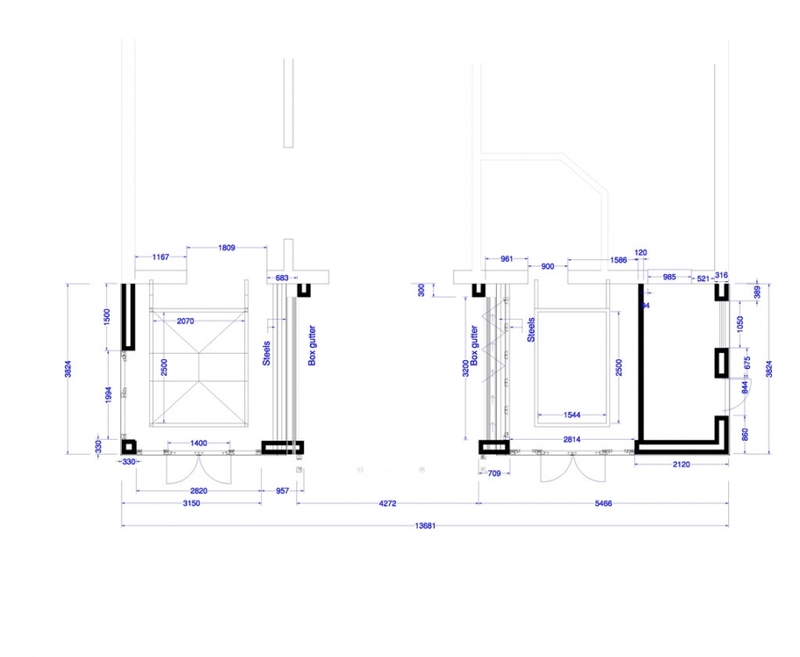 All to be open plan with the kitchen/ dining area. 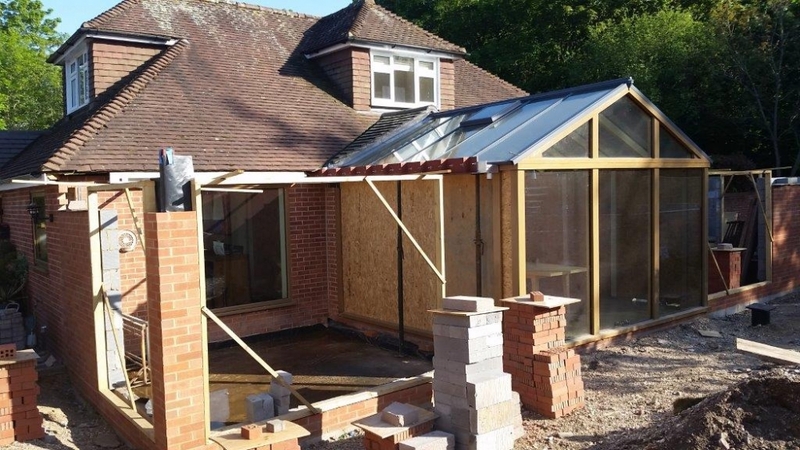 Two additional requirements was that on the far right, we had to build a utility room and on the immediate RHS of the original conservatory, we had to facilitate a temporary bedroom area for occasional guests. 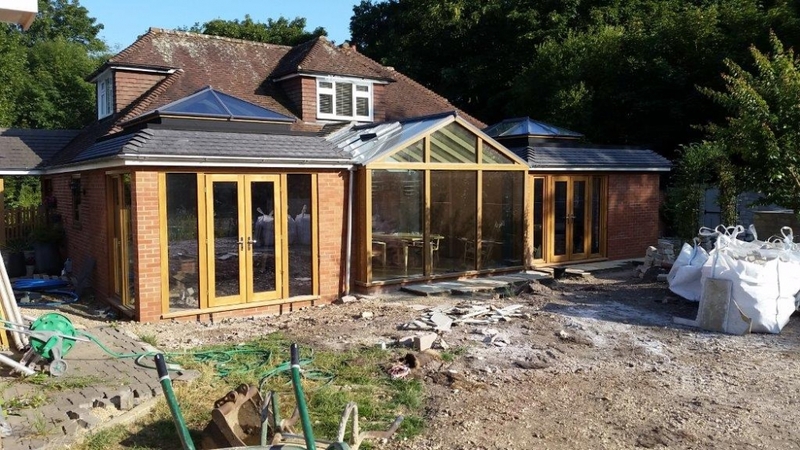 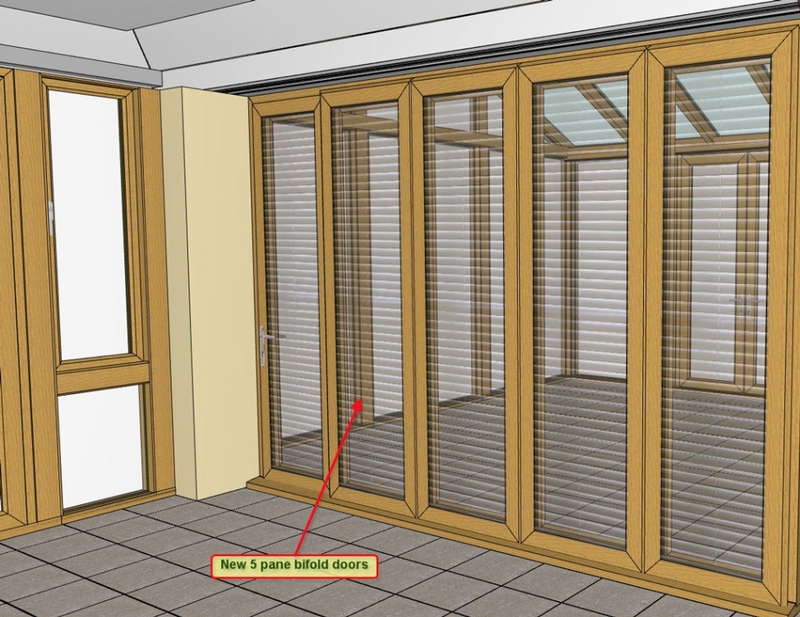 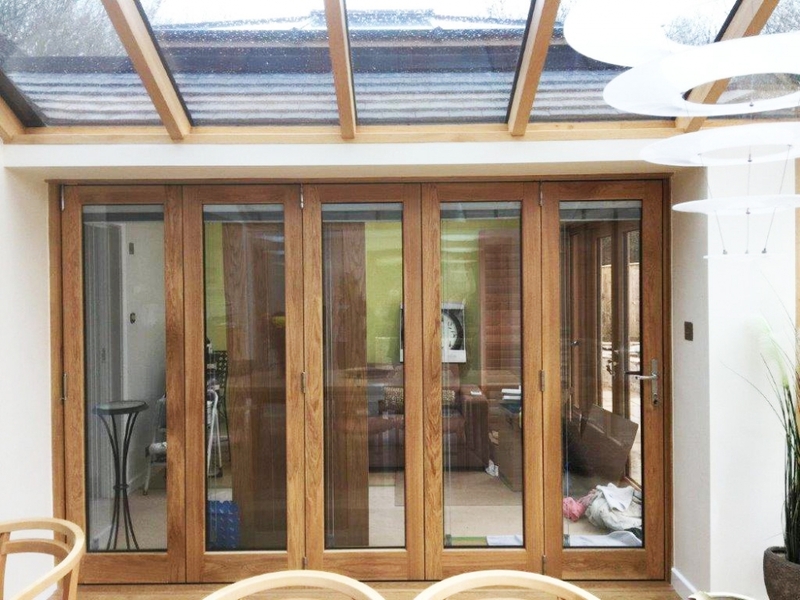 This was achieved by the use of internal bifold doors, which would normally be left open, but when the area was to be used as a bedroom, the doors could be closed and the area made private by the use of integral blinds, within the glass sealed unit. 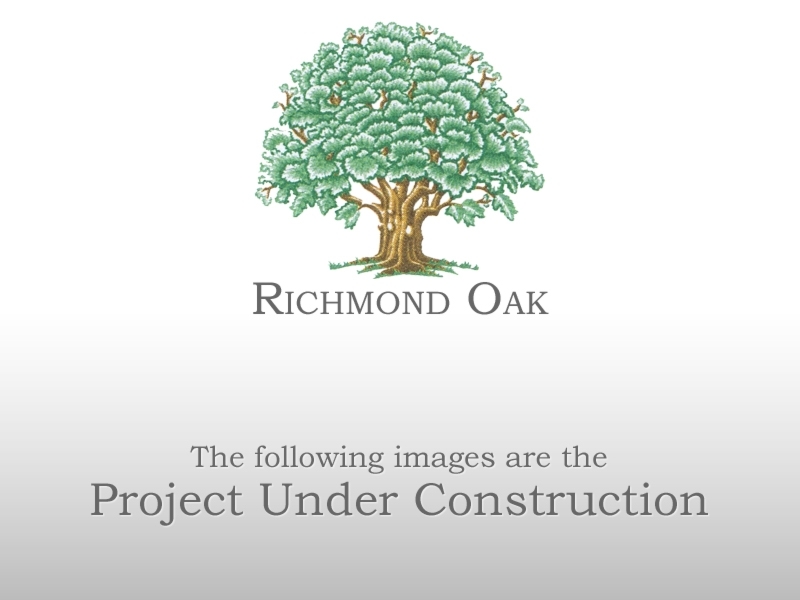 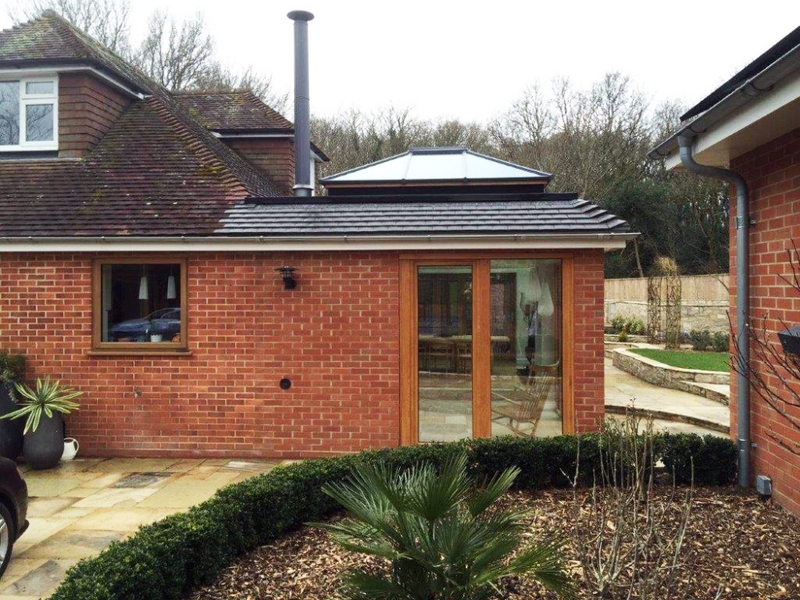 On the kitchen side, the brief included a wood burning stove. 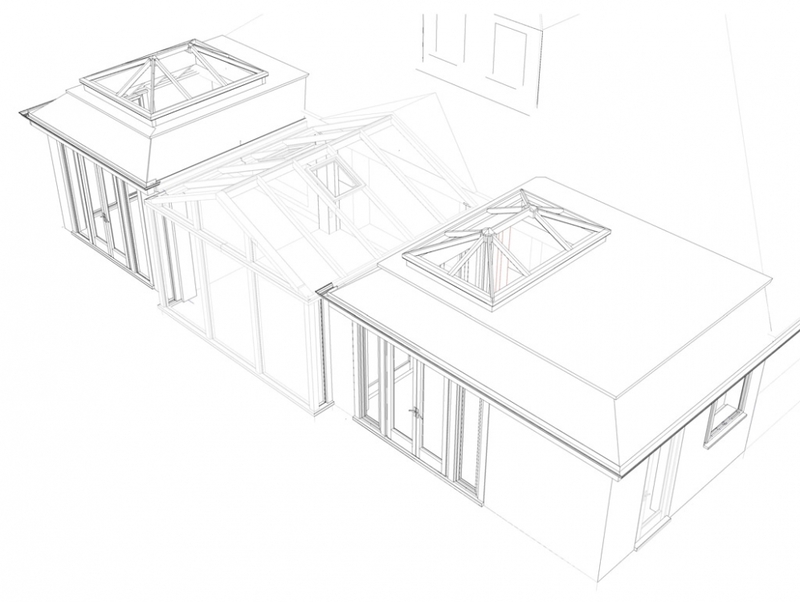 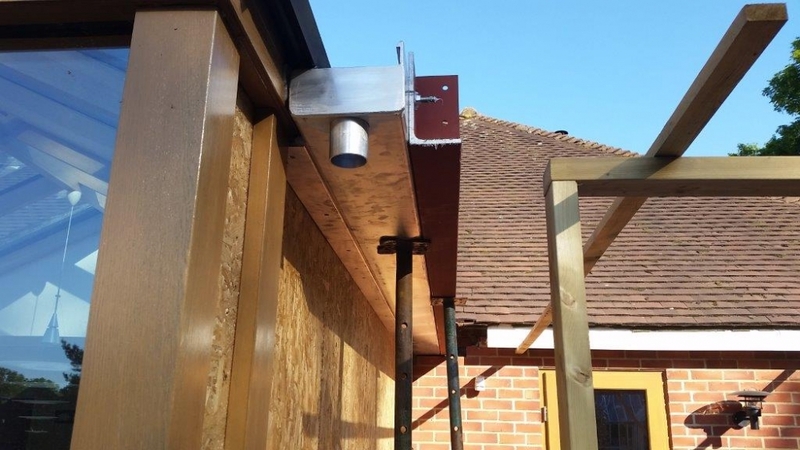 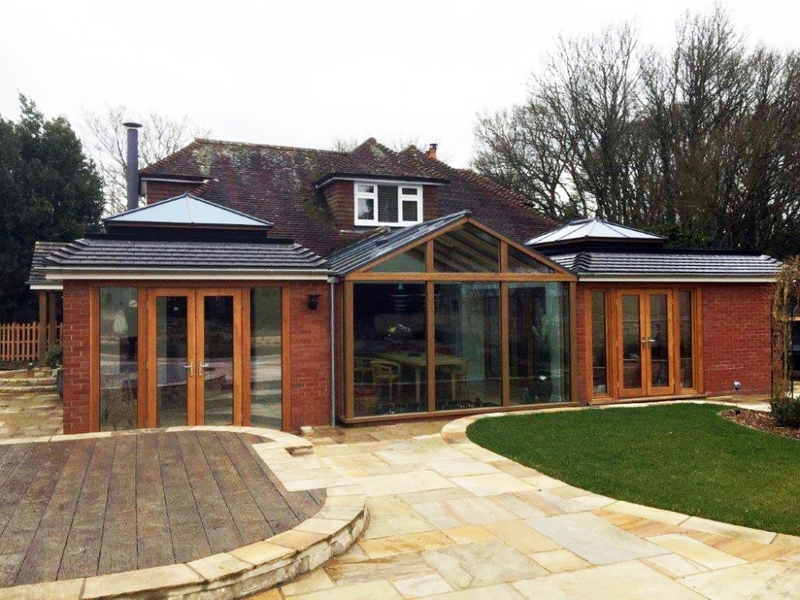 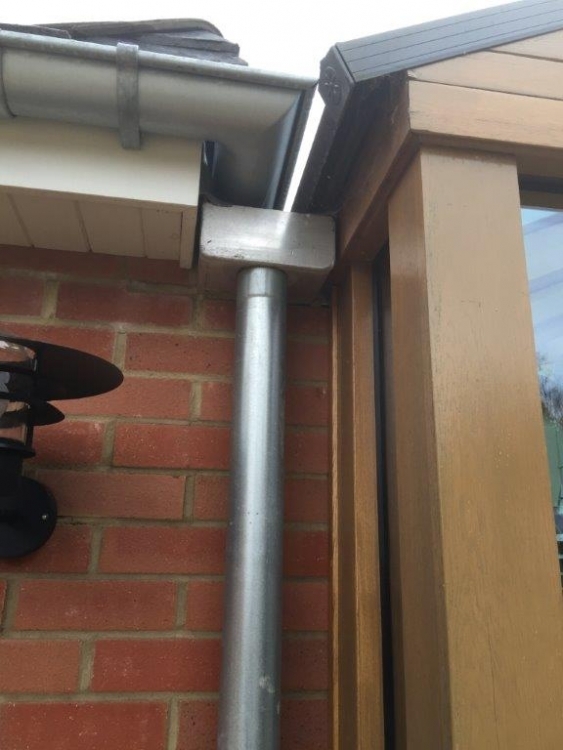 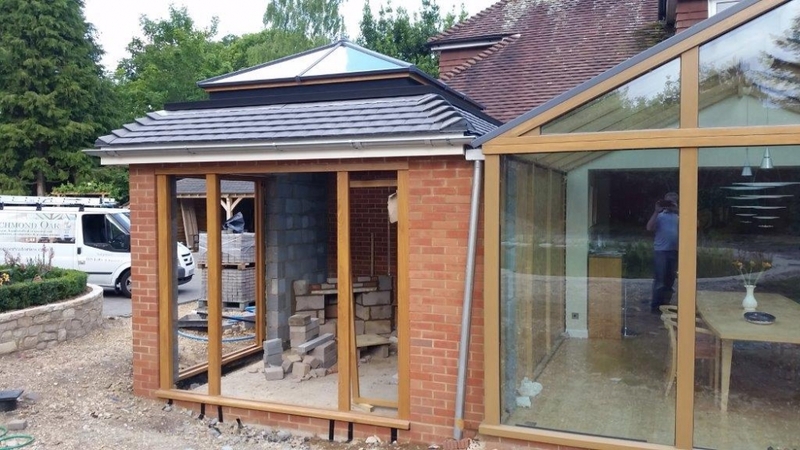 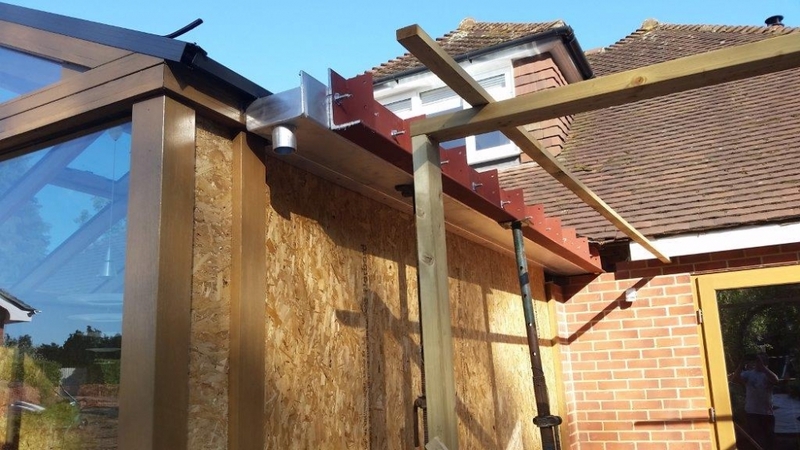 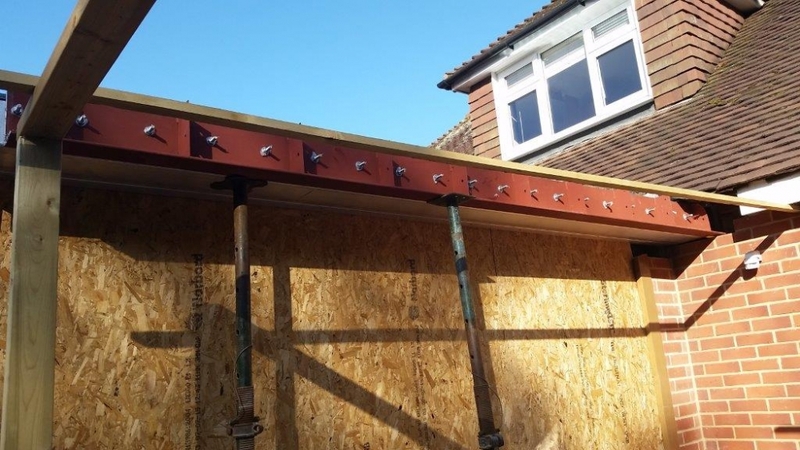 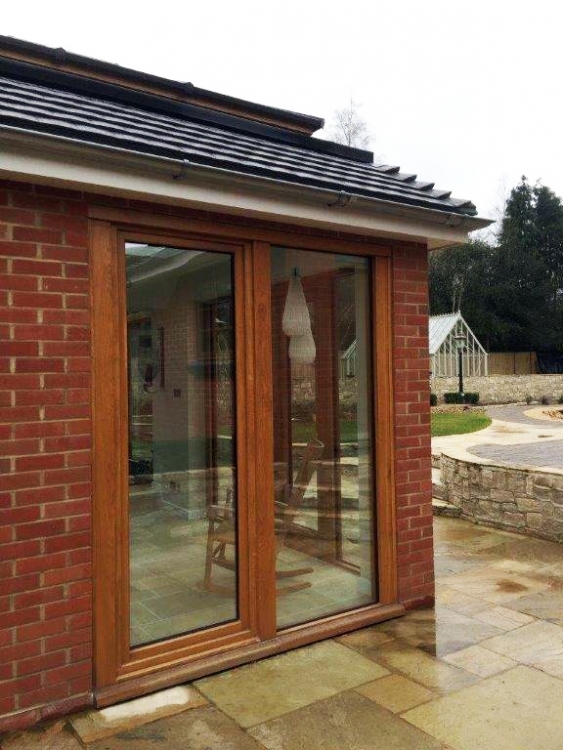 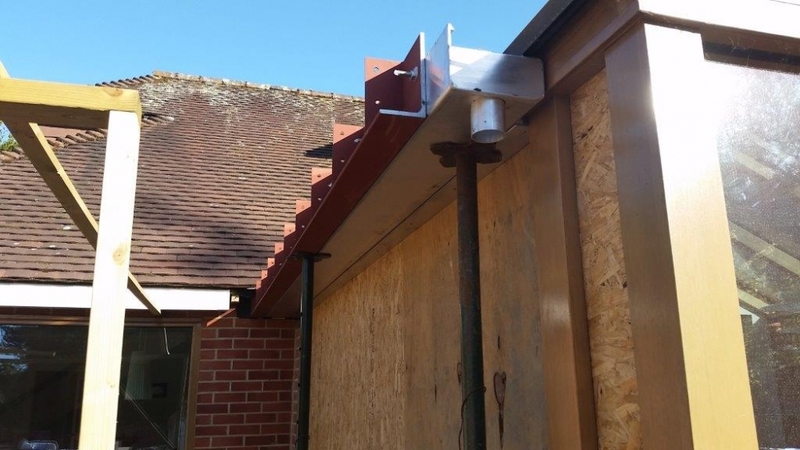 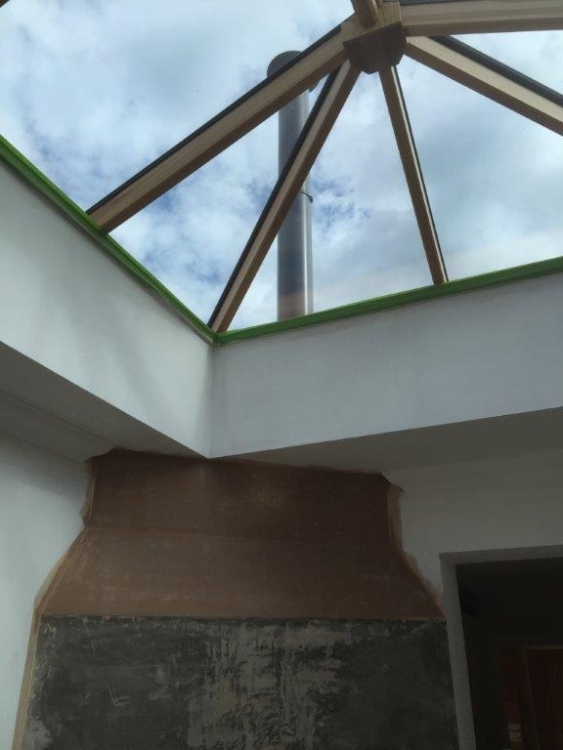 The project was challenging, in that we wanted to retain as much of the original conservatory, which governed heights and required the use of structural box gutters, and the design was constrained by the low eaves and pitch of the existing tiled roof. 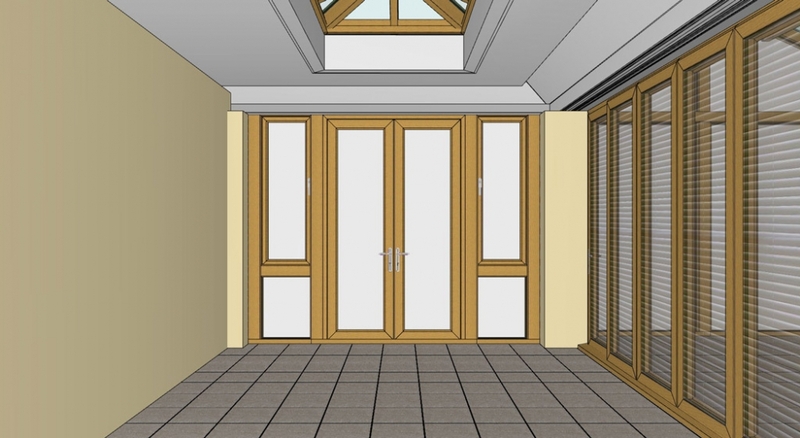 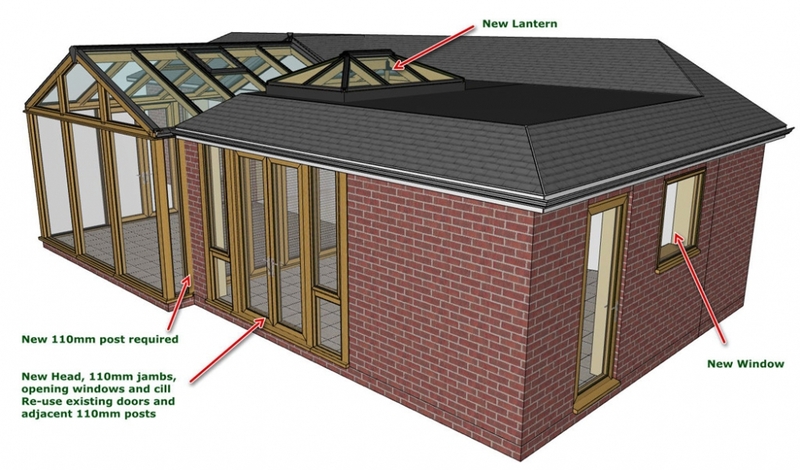 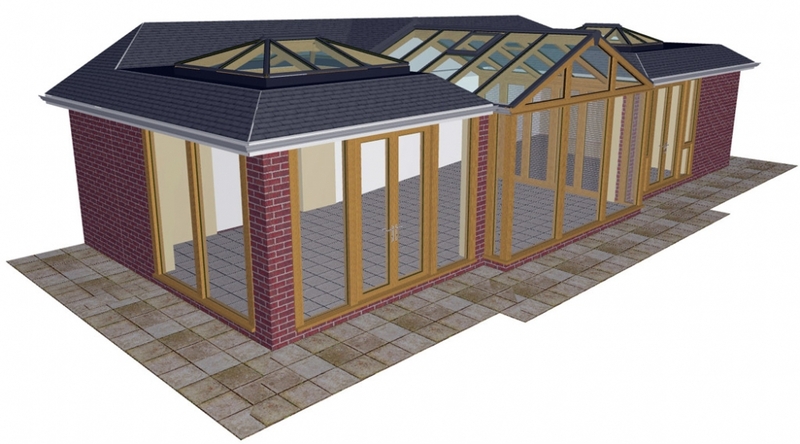 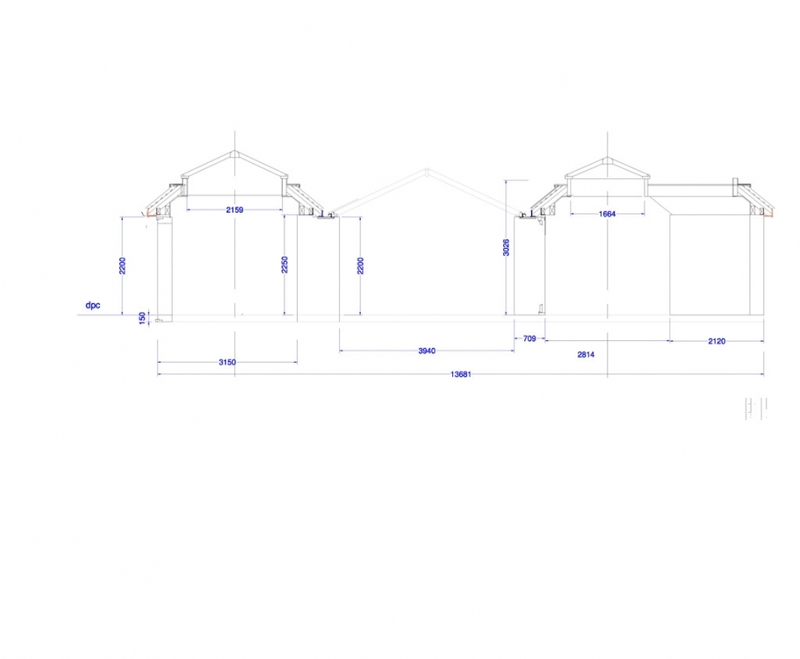 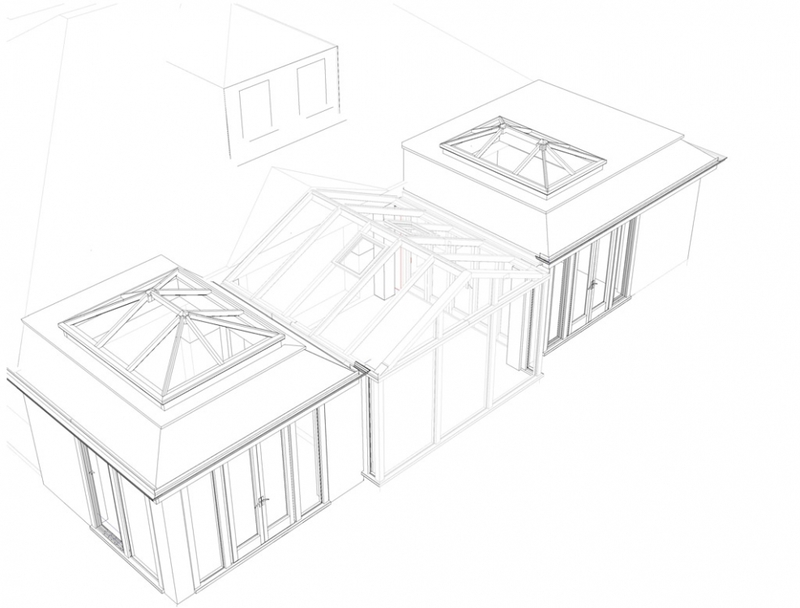 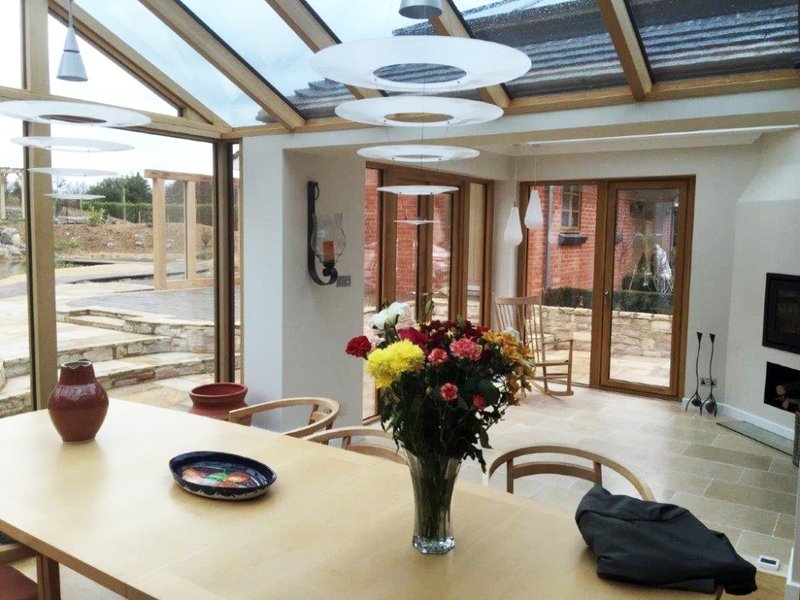 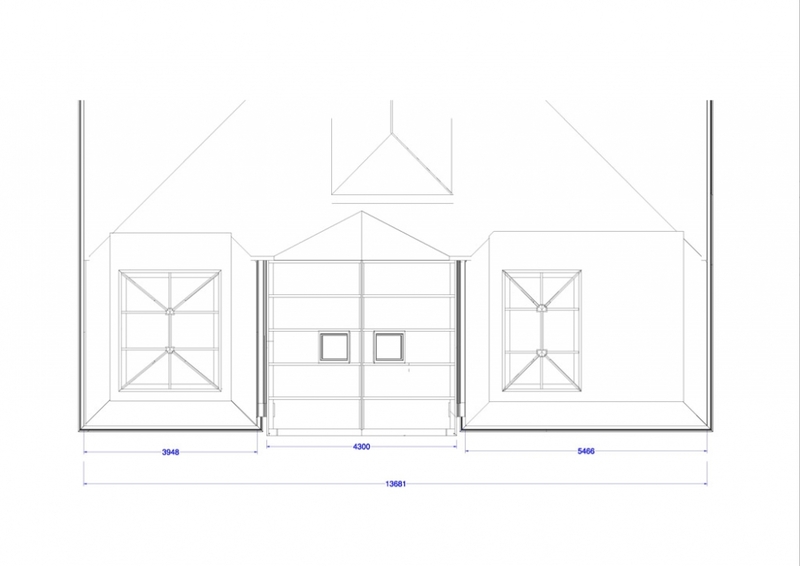 Because of this, we designed the orangeries with a tiled mansard roof to match the house roof pitch and provided vaulted ceilings with oak framed glazed lanterns. 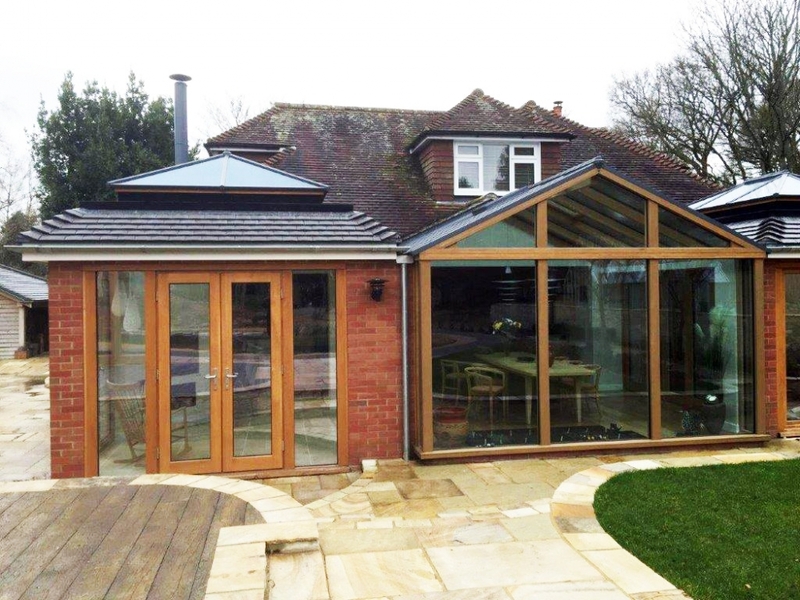 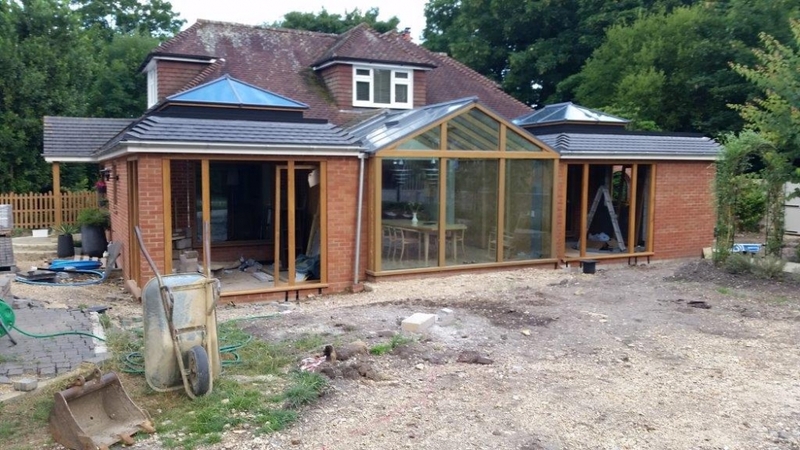 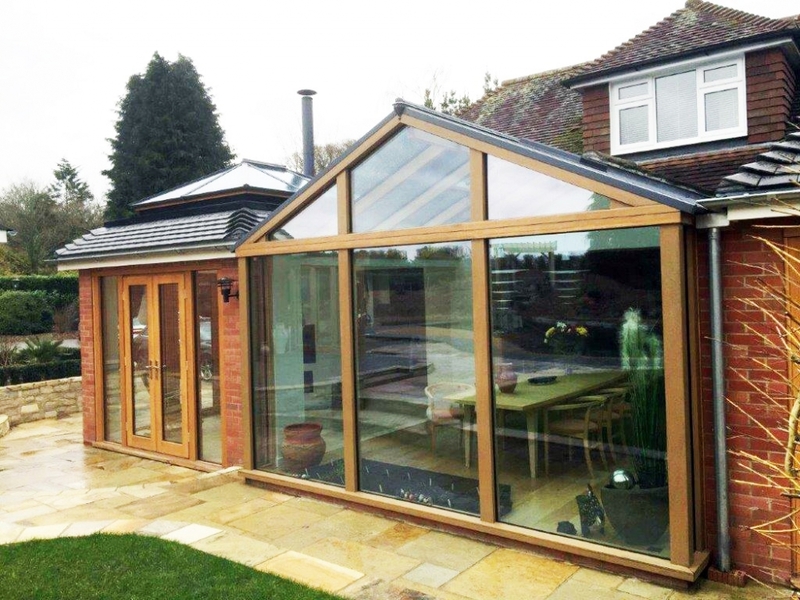 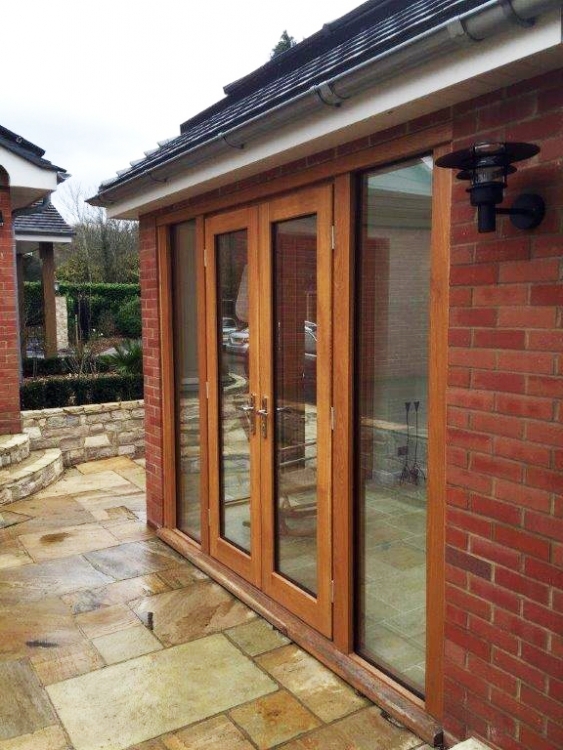 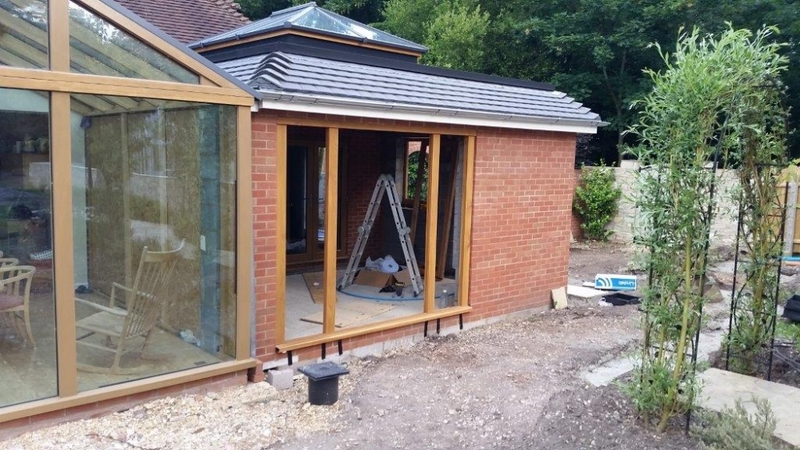 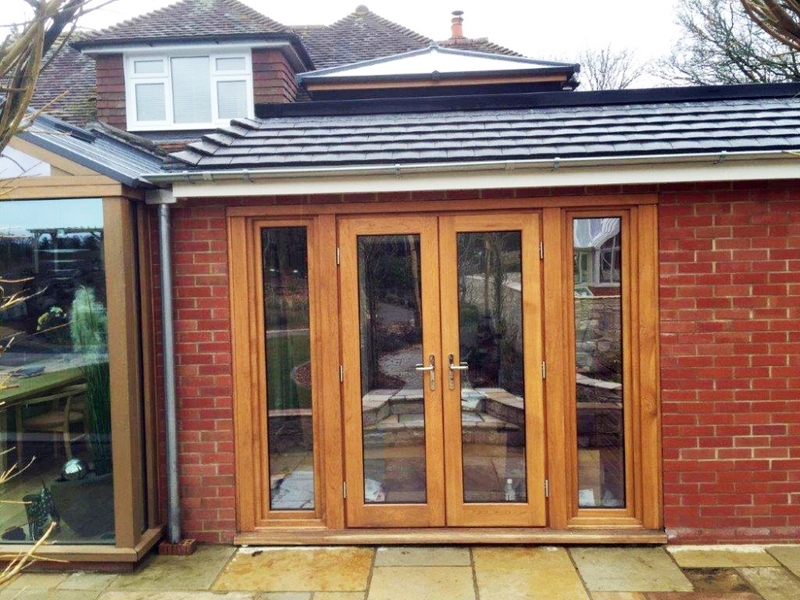 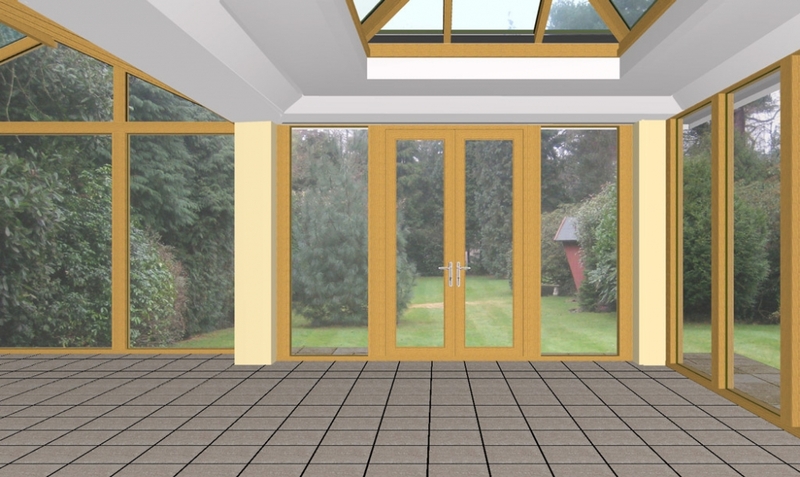 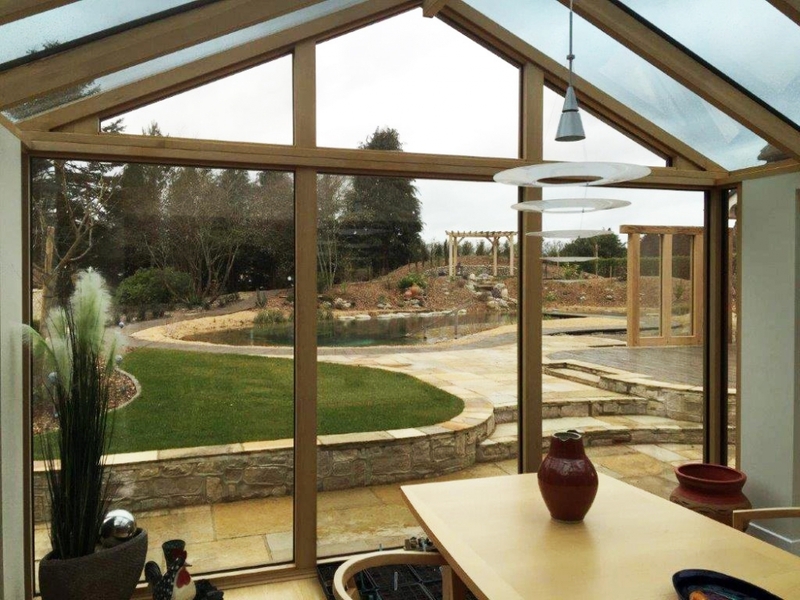 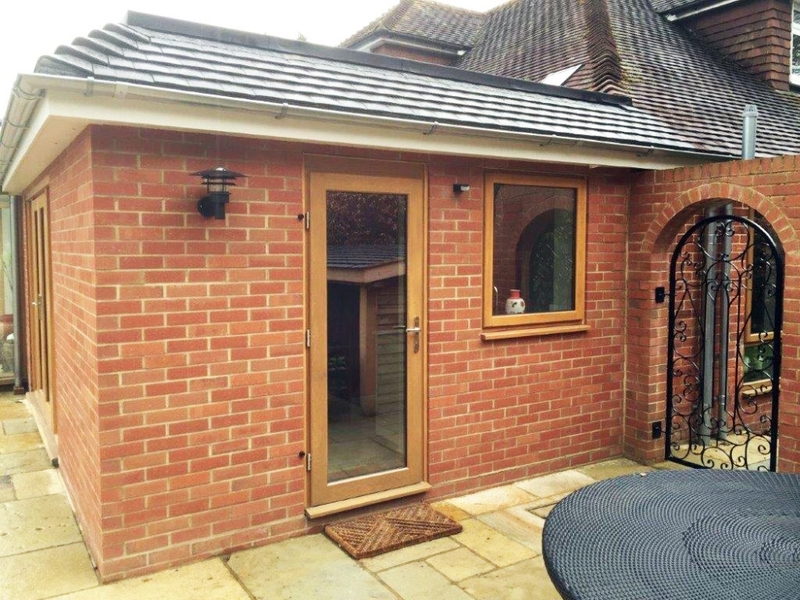 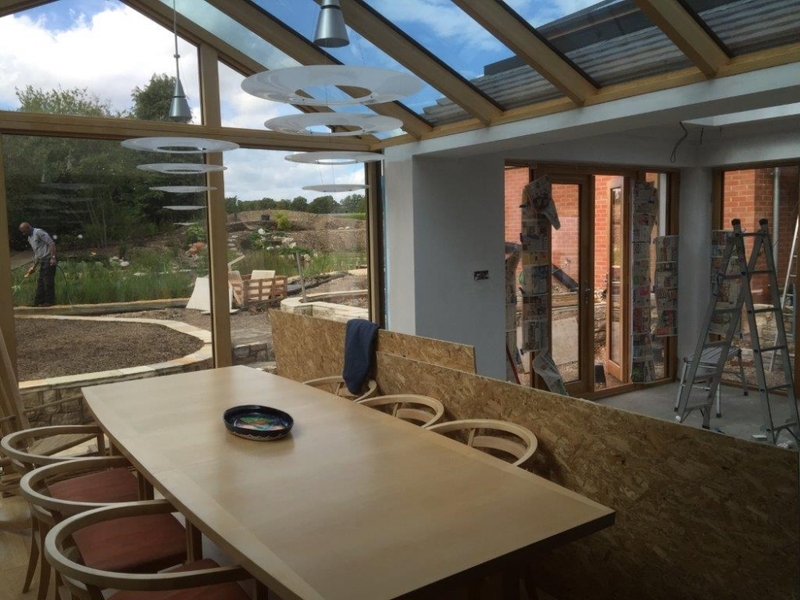 As a result, we were able to retain the whole front and roof of the existing conservatory. 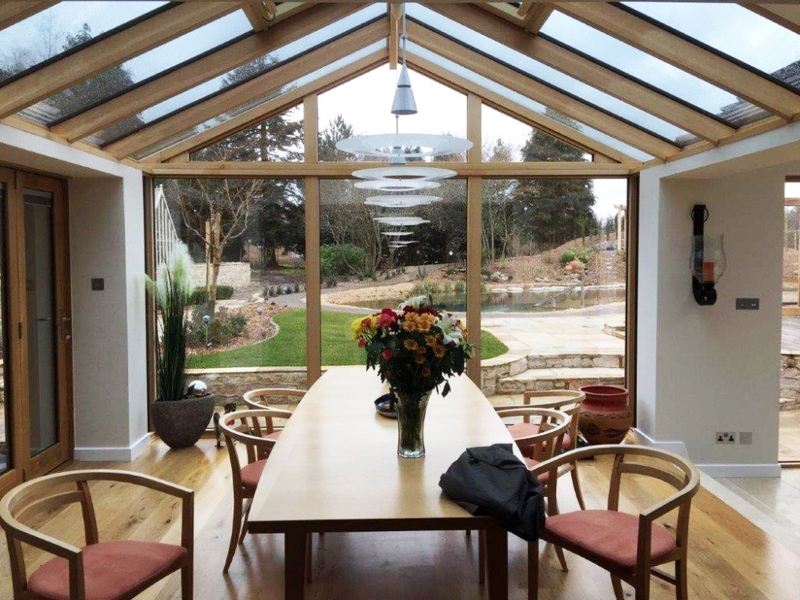 Using the very best Celcius Elite solar control glass in the roof and Celcius Clear in the frames, Mrs Jakobsen confirmed that despite the original conservatory having a large area of glass and being open plan to the house, the space was never too hot in the summer and rarely required the use of the underfloor heating in the winter. 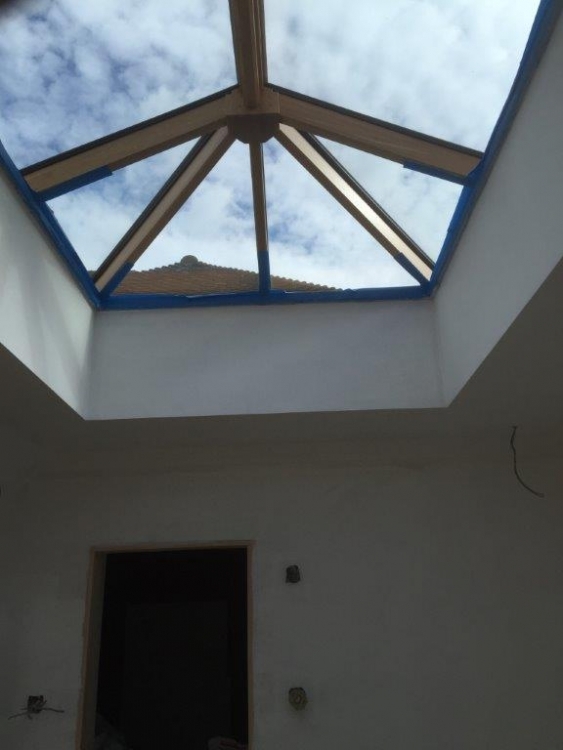 Additional ventilation was provided with automatic roof vents with climate control and rain sensor.